PT. 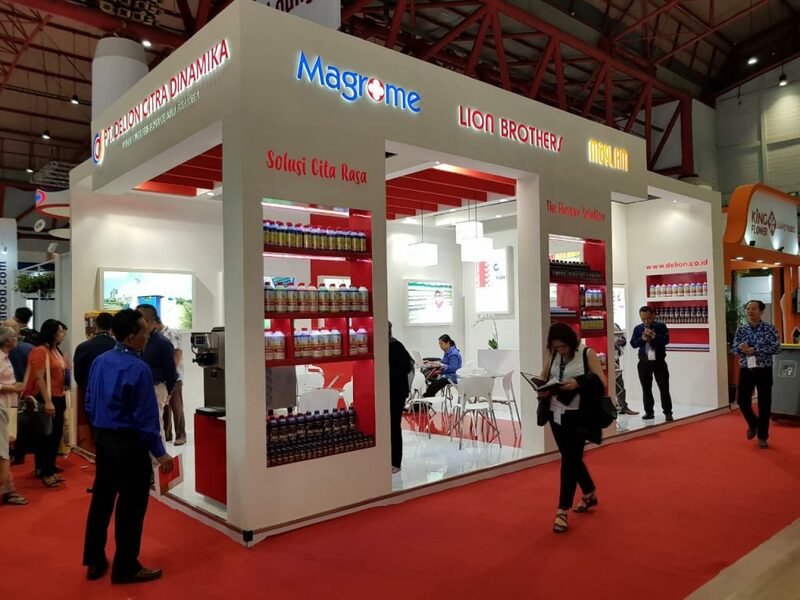 Delion participated in Food Ingredients Asia, the top exhibition for South East Asian food ingredient industry, from 3 - 5 October 2018. As the leading Indonesian flavor and flavor emulsion manufacturer with ISO 22000:2005 certification, we presented our capabilities in developing various ranges of flavors and cloudifier for food, beverages, and bakery. Out of the many new flavors developed this year, we showcased Magrome Hazelnut flavor for chocolate drink, Magrome Peanut Caramel, Sweet Corn, and Bubble Gum flavors specially formulated for ice cream application.